The official website of UK based independent wrestling promotion ATTACK! Pro Wrestling, with a strong focus on driving users to the companies different shopping and video channels while advertising the live events that they run across the country. 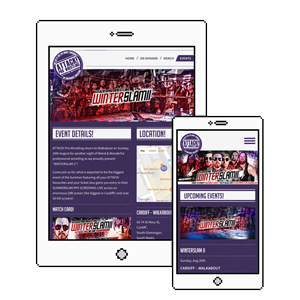 A university project to design and create a complete bespoke WordPress theme and website for a local event venue, while following current best practice and with a focus on responsive design and optimising delivery to mobile devices. 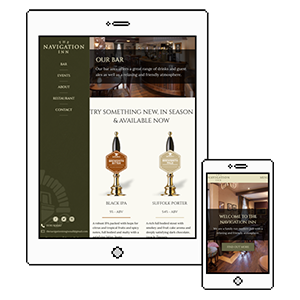 A group university project to develop a pub website for the Navigation Inn, Gnosall. 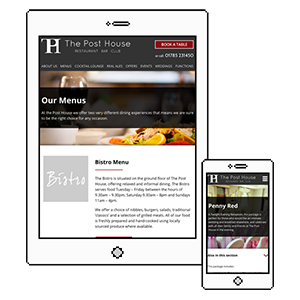 The website required the development of a bespoke CMS system and allowed for a number of meetings with the client for feedback and further development.